Valerie Agberagba, a registered Metallurgical and Materials Engineer has her Engineering practice in Quality Control/Assurance in construction projects and in the Power Sector. 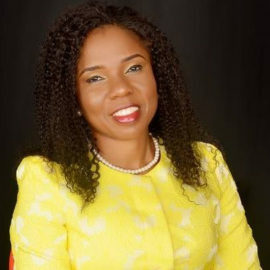 She is a Past President of the Association of Professional Women Enginers of Nigeria (APWEN) and a Past Vice President of the Nigerian Society of Engineers. Valerie Agberagba is the Executive Director of Science, Engineering and Technology Development Network, SciEtech, a non governmental mentoring organization.